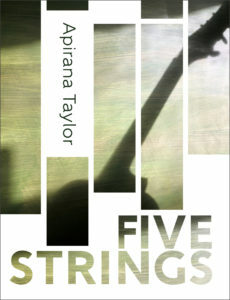 Here at Anahera Press we’re happy to announce we now have a release date for Apirana Taylor’s forthcoming novel, Five Strings. We’re delighted that the book will be released as part of the Auckland Writers Festival. All welcome to the launch event at 6pm on May 17th at Auckland Central City Library, Lorne St.